-Movies on my Mind-: Read More Books! 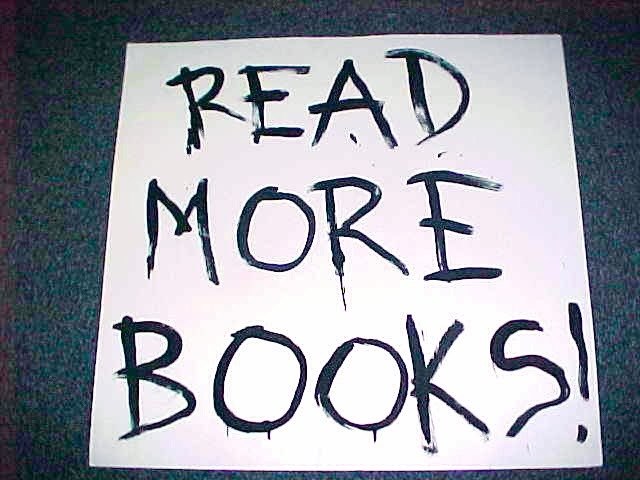 Ruth Rendell, the famous 84-year-old British crime novelist, recently said that the general demise of reading for pleasure in our country “strikes terror” into her heart. Rendell argues that reading has become a “specialist activity” that only a minority of people now engage in rather than something most of us do routinely. Rendell is on to something here. Though we are arguably reading more now than ever before, it is what we classify as reading material that is causing concern. Whereas fifteen years ago reading in bed was commonplace, it has now been usurped by checking Twitter feeds or cramming in a few episodes on Netflix. There is a worrying trend in our culture where grown adults no longer feel ashamed to admit that they don’t read books. Although the publishing industry will insist that it is in better shape than it was five years ago thanks to the uptake of digital e-readers, the truth is our pleasure in reading literature is haemorrhaging. The consequences of this may manifest in deeply unpleasant ways, and could further downgrade Britain’s already flailing literacy standing. Much of the outcry from Britain’s writing fraternity vis-à-vis the demise of book reading has been fuelled by the success of John Williams’ novel Stoner, a book that was written almost half century ago but only became a bestseller last year. Williams was an American writer and wrote a semi-autobiographical story about a Midwestern agricultural student called William Stoner who enters a Missouri university to better his rural knowledge but has an epiphany when he reads Shakespeare’s 73rd sonnet. The sonnet brings into sharp focus Stoner’s ignorance of literary works. 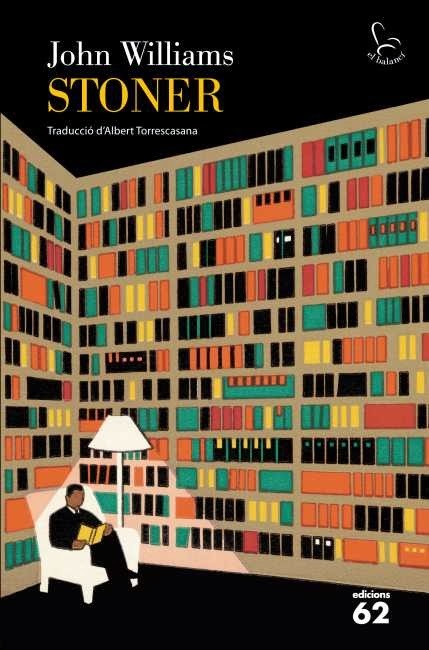 This realisation forces Stoner to confront his limitations of the written word and sends him on a quest to salvage his own intellectual deficiencies by reading as many literary classics as he can accommodate. Stoner realises that through reading literature we develop a greater awareness of everything that surrounds us as it imbues one with an impeccable comprehension of the human condition. The actuality that Stoner, a novel that was a huge flop on its publication in 1965, acquired bestseller status only last year after sustained word of mouth recommendations and celebrity endorsements, is perhaps a great signifier of where we are at as a society. Reading books for pleasure has become almost alien to us, and Stoner’s success is an indication that we want clarity for where we are going wrong as a culture. Author Philip Heshner, whose past novel A Northern Clemency was nominated for the Man Booker, said it best when he stated “you can genuinely tell when you meet a person if they never read a novel: that there is something missing there”. He went on to say that “people who do read a lot perhaps are starting to think of themselves as undertaking a particular activity that is worthy of celebrating the way Stoner (the character) was rather than the way it was even twenty years ago, as something that everybody did in a routine way”. Literary ignorance in western culture is debatably more to do with what people choose to read rather than them not reading at all. G.M. Trevelyan, the British historian, once said: “[Education] has produced a vast population able to read but unable to distinguish what is worth reading.” There may be some truth to that but we need to recalibrate our expectations of peoples’ erudition. One of the biggest debates we’ve had in Britain recently has to do with education policy makers (who all benefitted from expensive classical educations themselves) proclaiming that our nation’s schools are rife with uncultured teachers that have infiltrated a general malaise of literary laziness. Our Sectary of State of Education, Michael Gove, caused furore last year when he insinuated that it was teachers failing children by encouraging the reading of lowbrow books like Stephenie Meyer’s Twilight over certifiable highbrow classics like George Eliot’s Middlemarch. Gove’s idea is that those who read Middlemarch as teenagers will be more successful in later life than those reading undemanding YA bestsellers. He may be right, but it takes a pretty smart teenager to fully appreciate the complexities of something like Middlemarch. 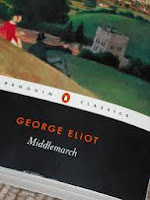 Middlemarch was a book that we were forced to read at school when I was seventeen. It was a million miles away from the largely working-class, ethnic minority existences that made up our classroom. Eliot’s grand vocabulary, and her characters’ dilemmas of loveless marriages and political chicanery, went over our classically untrained minds. I reread Middlemarch last year and it worked much more for me because one understood it better. My own emotional and intellectual development as an adult enabled me to better navigate Eliot’s masterful literary crafting. I wasn’t ready for it as a teenager but went back when I felt I can do it justice. 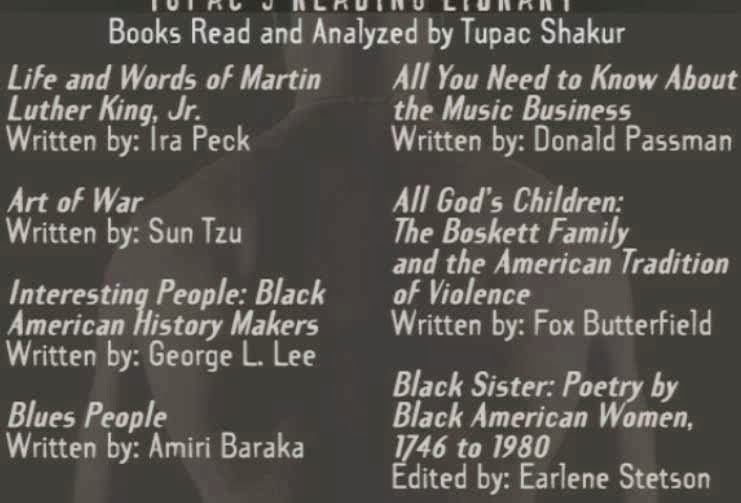 As a teenager, the rapper Tupac Shakur probably meant more to my generation than what George Eliot ever did, but Tupac was also, according to rumours, a voracious reader of books. This titbit made it cool for us to read as much as he did, or at least try our hand at Machiavelli’s The Prince. If we can create a love of reading during adolescence then as grownups we will venture on to more challenging works, sometimes even returning to things we didn’t fully grasp first time round. The problem in Britain isn’t that we are reading the wrong books, it’s we aren’t reading enough books to start with. The key is to read books in the first place because once that routine manifests then it will always be a part of us. Reading, thus, becomes a nourishing staple of what we are all about. As Alvin Toffler, an American futurist, said: “The illiterate of the 21st century will not be those who cannot read and write, but those who cannot learn, unlearn, and relearn,” which means that a love of reading in one’s youth will eventually produce an adult who is both book smart and also able to give things another go when they feel they’ve earned the opportunity to do so. 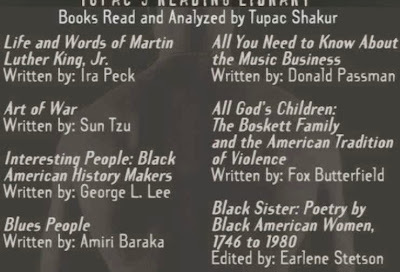 If your role models are intelligent, like Tupac was for us, then that may make all the difference. It means that as adults we may then connect better with likeminded peers and relate more keenly with figures, both in everyday life and in politics, that share our own levels of erudition. The point is that reading books must never become a specialist activity. The key is to read books all the time and incorporate as many varieties as one can fit into a lifetime. That, my friends, will make for better human beings and, subsequently, a philosophically enriched society.